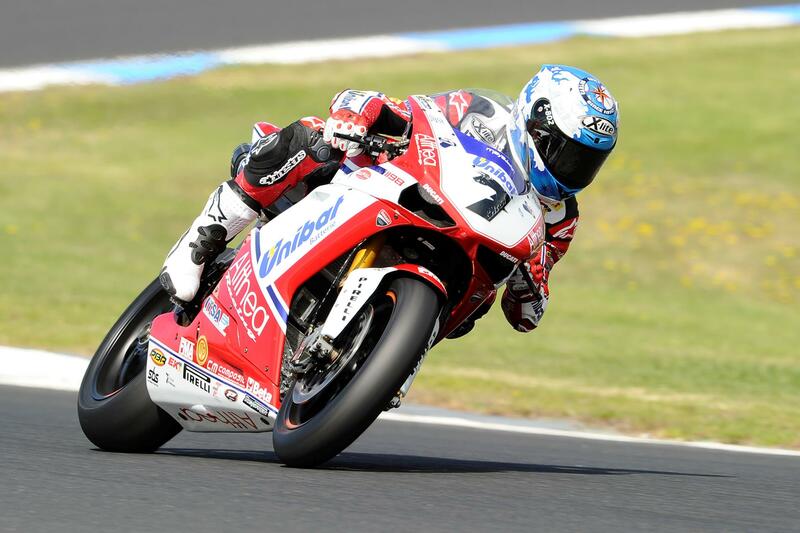 Carlos Checa topped the time sheets once again at Phillip Island in the opening free practice session today. The Althea Ducati rider was the only man to lap in the 1m 31s and just like in testing earlier this week also showed impressive race pace and consistency. Castrol Honda man Jonathan Rea defied the odds to set the second fastest time despite suffering the effects of his heavy 130mph crash on Tuesday. Spaniard Joan Lascorz made an instant impact on his factory Kawasaki in third with Leon Haslam pushing hard at the end of the session to jump up to fourth spot. First qualifying gets underway at 15.30 local time.